JunoCam is the sole color visible light camera on the Juno spacecraft orbiting Jupiter. The instrument’s primary purpose is to engage the public in citizen science and to obtain the first images of Jupiter’s poles. In fact, many of the raw images returned are processed by citizens with a passion for space exploration. SpaceFlight Insider reached out to five of these individuals. The first in this series is Justin Cowart, a geologist and amateur astronomer who has had a passion for space since childhood. When NASA invests in the design and development of a spacecraft, their primary focus is on gaining scientific understanding. However, sharing with the public the excitement of space exploration is generally high on the space agency’s list of boxes to check off. 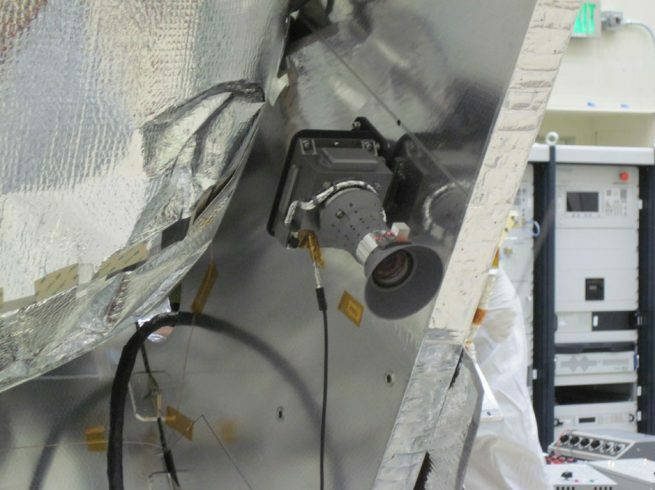 The Juno team included a camera for educational purposes right from the beginning. The spacecraft’s public awareness campaign utilizes the visible light instrument to involve the public in citizen science. Including JunoCam, the spacecraft has nine cameras among its instrument payload. This includes two star cameras for navigation, four stellar compasses to aid in locating its magnetic field sensors in inertial space, as well as infrared and ultraviolet imagers. JunoCam was designed and manufactured by Malin Space Systems based in San Diego, California. 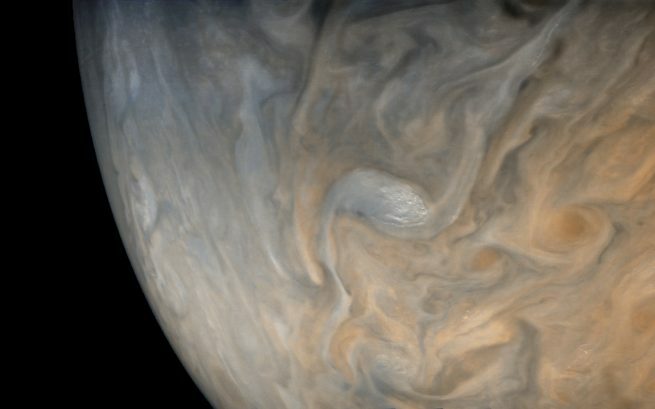 Elsa Jensen, the camera’s operations engineer at Malin, said it was the first time a NASA mission engaged the public by voting for the majority of the pictures an instrument would take. The camera didn’t waste any time taking breathtaking images, either. In fact, it began capturing photos of Jupiter and the Jovian system nearly a full month before it actually arrived at Jupiter. The first photos were taken every 20 minutes and then spliced together to create the first video of the four large Galilean moons: Io, Europa, Ganymede, and Callisto. Compiling the images together, JunoCam managed to show the movement of Jupiter’s largest, and longest-known moons as they orbited the giant planet. This was also the first time humans were able to see the motions of the cosmos with real images. The video was viewed by millions of people since it was released in July of 2016. The intent of the camera’s inclusion on the mission was achieved in that very first video, but it certainly hasn’t stopped there. The instrument’s goal to capture the attention of the public and to inspire people to learn more and get involved, has already more than succeeded in achieving its goals. Once the raw images are returned, citizen scientists get involve to process the photos. 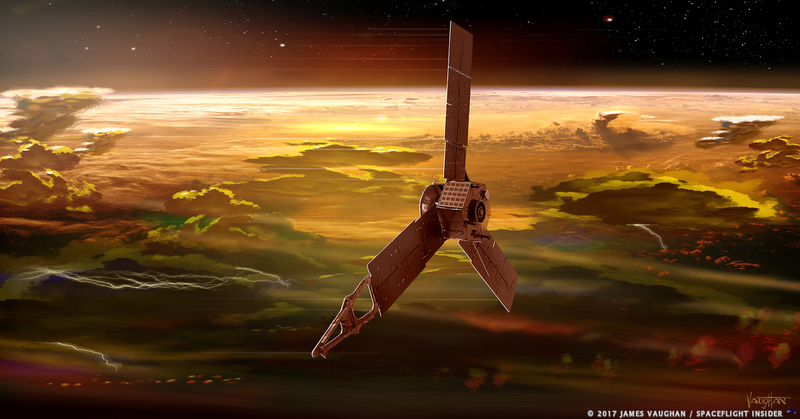 To learn more about the creation of these images, last summer, SpaceFlight Insider reached out to five citizen scientists who are bringing the cloud tops of Jupiter to life. Justin Cowart lives near Stony, Brook, New York. He is a graduate student pursuing a Ph.D in geosciences from Stony Brook University. He said his main focus is on geologic remote sensing and primarily studies the composition of Martian bedrock to understand its climate and environment during its first billion years of history. SFI: How did you hear about JunoCam? SFI: Were you interested in space prior to hearing about JunoCam? 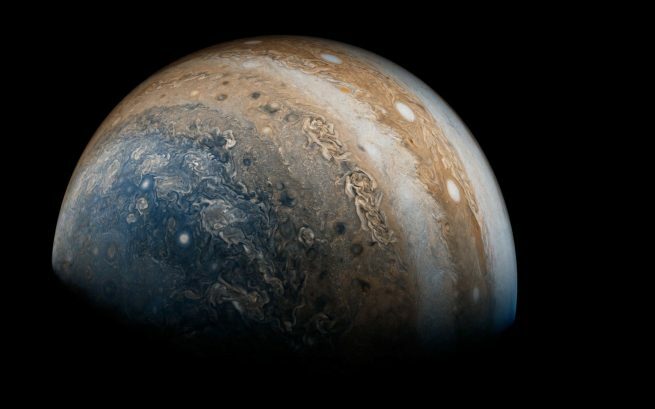 SFI: What interested you about JunoCam? SFI: On average, how long does it take to process a JunoCam image? SFI: What software or equipment do you use to process your images? SFI: Do you have prior experience processing images? What about specifically scientific images? SFI: Do you have goals and/or hopes for the images that you produce, and if so, what are they? 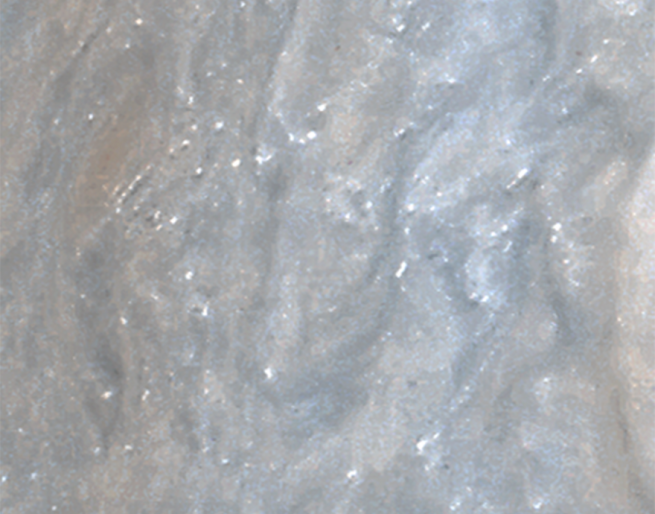 SFI: What are some of your favorite JunoCam images that you have processed? SFI: What are some of your favorite JunoCam images that others have processed? SFI: What do you love/enjoy about space? SFI: If there was one thing that you could say to someone who looks at your images, what would that be? Those interested can find more of Cowart’s work on Twitter as well as on his Flickr account. He has also written several blogs for the Planetary Society and hopes to do so again the the future. Part two of this five-part JunoCam series will be published March 27, 2018. Be sure to return to SpaceFlight Insider to learn about Kevin Gill, a software engineer at NASA’s Jet Propulsion Laboratory. *An earlier version of this story had numerous errors in it. Scott Bolton, Juno’s principal investigator, was kind enough to provide corrected information to SpaceFlight Insider. Below is the corrected story. We sincerely regret the errors.